The Civil War was a watershed event in the history of America in a variety of areas. It brought groundbreaking new developments in warfare: rifled weapons, breechloading guns, ironclad naval vessels, and the advent of trench warfare, just to name a few. Although not a ”total” war like World War I and, even more, World War II, it became, with time, a war of attrition in which there could only be, in the eyes of the Lincoln Administration and many Northerners, unconditional surrender by the Confederacy. On a personal level, the war was a tragedy. The Civil War cost more American lives than almost all other wars the United States has been engaged in to this day combined – about half a nillion dead North and South together, and hundreds of thousand more severely injured for live. The outcome of the battle of Shiloh in April 1862 cost more casualties than the War of Indepence, the War of 1812, and the Mexican-American War together had caused in numbers of killed, wounded, and missing. 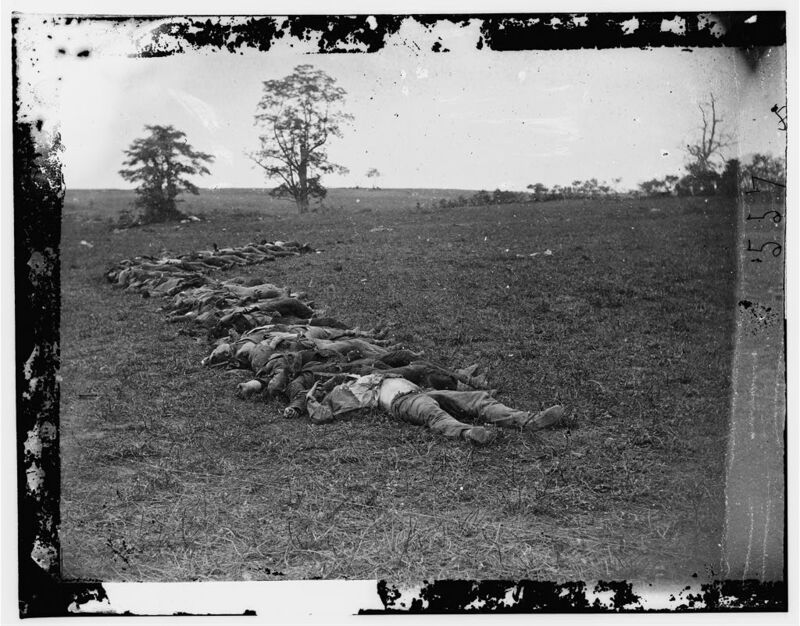 The casualties of the battle of Antietam in September 1862 have not been surpassed by any other battle with U.S. participation and remains the bloodiest day in American history, while the three-day long Battle of Gettysburg is the engagement with the most casualties. For those who stayed at home, the loss of husbands, fathers, and brothers was a nightmare and followed by a period of mourning, customary of the time. In antebellum America, the culture of death was one of the ”good death”: family members knew how a loved one had died, and they were reassured that he had not died in vain, having led a good life. The Civil War reverted this notion: thousands of soldiers fell on faraway battlefields, and often their family members never got any news about missing combatants. Comrades in arms often sent home letters, confirming a ”good death” – but in many other cases, the fate of single soldiers remains unknown. In addition, these condolescent letters – and letters home in general – did not tell anything about the cruel instances of death in battle. Soldiers often just did not feel comfortable or able to tell their experiences, though quite a number of soldiers tried to convey the horrors of combat in letters and, later, in war memoirs. The vast numbers of dead forced both the Confederacy and the Union to take action. On the Federal side, several organisations developed in order to bury the dead. In the beginning, most were private, but with mounting casualties, the Federal administration was forced to become engaged as well. Official burial parties were sent to the nation’s battlefields, trying to find, identify, and bury the dead, as well as informing family members – a task larger than life. Not only were the sheer numbers an obstacle in successfully managing the task but also the often hostile inhabitants of the South. The work of these commissions continued until after the war and presents one of the many instances where the adminstration gained more direct influence due to the war. The South did have other problems: while the distance was not as far as for the Federal agents, the Confederacy also faced big numbers of casualties as well as the problem of organization – since its government was not as centralized as the one in Washington, it was mostly private parties who took the burden of burying the dead. 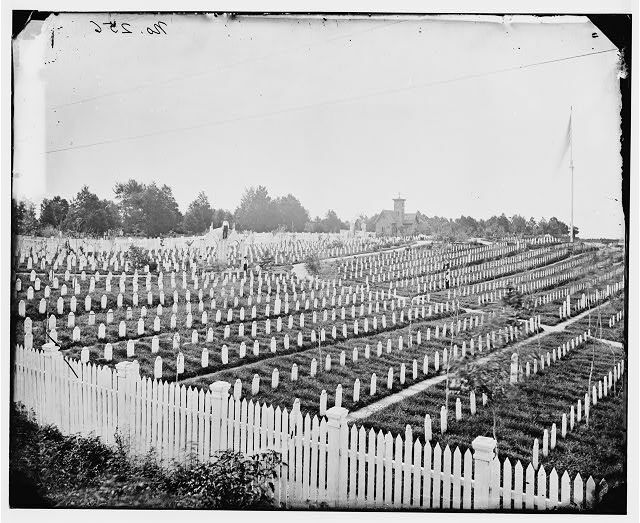 Moreover, the administration in Washington began the buildup of national cemeteries at major battle sites. However, these cemeteries were intended for Union soldiers, not for those who fought for the South. Therefore, different ways of commemoration developed in the North and in the South. In the 1870s, Memorial Day was instated – but this was, in the eyes of Southerners, a Yankee thing. In the former Confederacy, Decoration Day came into being – family members of dead soldiers decorated the graves of their late loved ones. 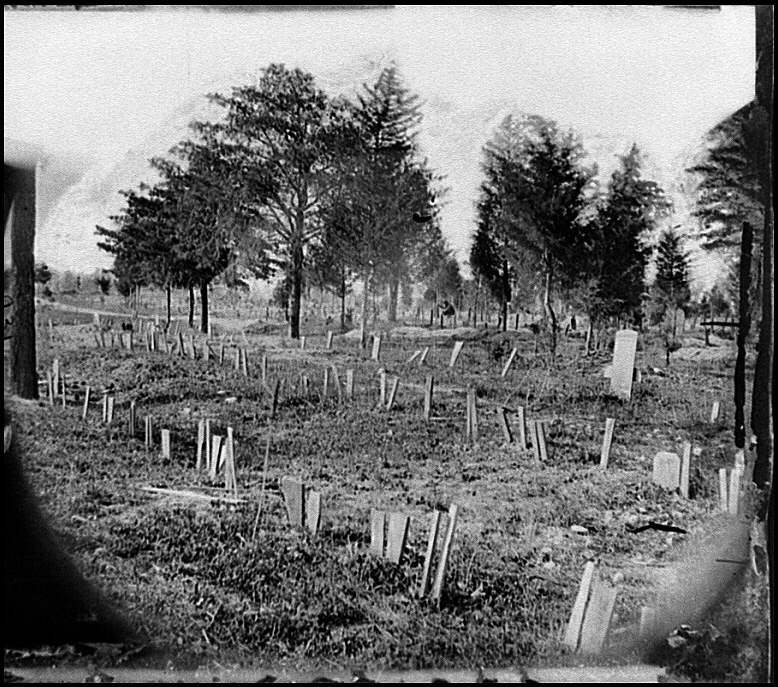 An instance in which the theretofore unknown dimension of death and dead came prominently in the spotlight was Matthew Brady’s 1862 photographic exhibition “The Dead of Antietam” in New York. The famous photographer did not only display his pictures of battlefields and soldier life but also those of dead Union soldiers. For the first time in history, Americans living outside and unafffected by faraway war zones faced the gruesome reality of combat vis-à-vis photographic pictures. The exhibition caused a public uproar, and it would take eighty years until photographs of dead American soldiers were to be publicly displayed again in 1943. 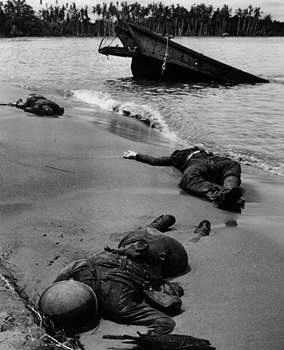 The photographs made by Brady’s team destroyed the notion of a gallant war. Combat was not a chivalrous game – not knights in shining armor, as described in Sir Walter Scott’s novels which enjoyed a huge readership in Victorian America. Soldiers themselves were brought up to the bloody reality of combat rapidly afte their first engagement – after ”seeing the elephant” – and were therefore the first to abandon the illusions they had had before they enlisted for the ”adventure” of soldiering. Author to-be Ambrose Bierce must have been no exception – having participated in almost all the major battles of the western theater of operations, he was familiar with death in all its varieties in war. This is reflected by his descriptions, his ”visions of the dead and dying” in the Civil War short stories he wrote. Blight, David W. Beyond the Battlefield: Race, Memory, & the American Civil War (Amherst & Boston: Univrsity of Massachusetts Press, 2002). -.- Race and Reunion: The Civil War in American Memory (Cambridge, MA, and London: The Belknap Press of Harvard University Press, 2001). Duncan, Russell and David J. Klooster. Phantoms of a Blood-Stained Period: The Complete Civil War Writings of Ambrose Bierce (Amherst & Boston: University of Massachusetts Press, 2002). Faust, Drew Gilpin. This Republic of Suffering: Death and the American Civil War ( New York: Knopf, 2008). McPherson, James. For Cause and Comrades: Why Men Fought in the Civil War (New York: Oxford UP, 1997). Neff, John R. Honoring the Civil War Dead: Commemoration and the Problem of Reconciliation (Lawrence, KS: University Press of Kansas, 2005).